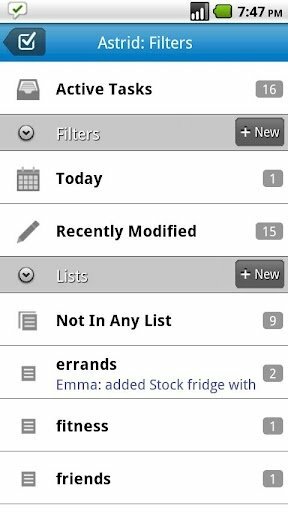 Astrid is an application for Android devices that will help you to manage tasks so as to carry them out as soon as possible. Astrid presents among other features entertaining reminders, capacity to synchronize with Astrid.com, Google Tasks and Producteeve.com as well as filters that can be configured by the user in such a way that it will be possible to define which tasks have priority. It allows you to share the task lists with other users, in such a way that it will be possible to provide your own ideas for group projects, and with the Locale Add-on and Locale Astrid extensions it will be capable of notifying tasks according to our location. 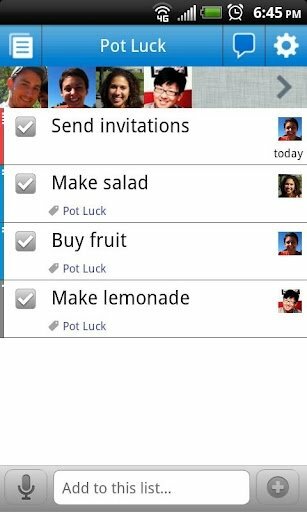 Easily add tasks, all you'll have to do is start writing a note and then save it. If you want to specify more about it you can later add details, like the data, importance and timetable. 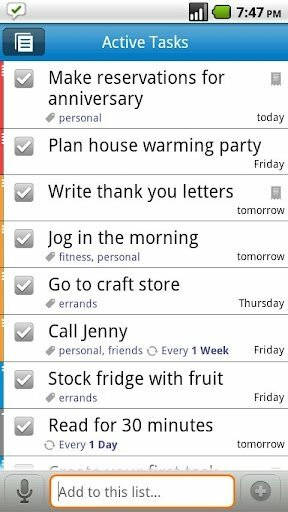 Astrid Tasks is a tool that is very appropriate both for domestic and work setting or to coordinate plans together with your friends.